After their dog of nine years passed away, adopting another dog — let alone two — was the last thing on the Birster family’s mind. 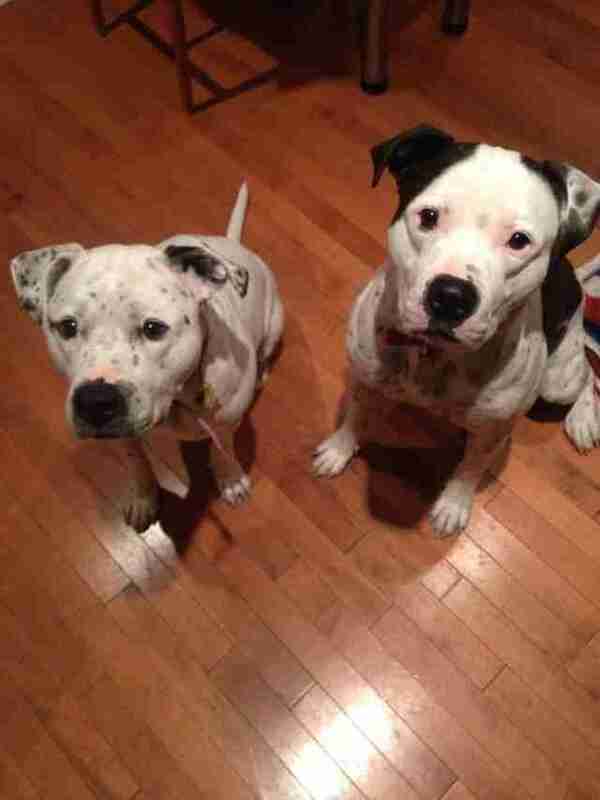 But that quickly changed once they saw a photo of Bonnie and Clyde, two bonded pit bulls being housed at ACCT Philly — and learned that the bonded pair could soon be separated. A week later, Birster saw the photo of Bonnie (mostly white with spots) and Clyde (brown and white) for the first time on Facebook. The Facebook post noted that the dogs were in paired housing and waiting to be adopted. There was a lot of interest in fostering or adopting Clyde but not a lot of interest in Bonnie. “I was watching all of this play out on Facebook and my heart was breaking all over again that these two who clearly needed to be together might be separated,” Birster said. 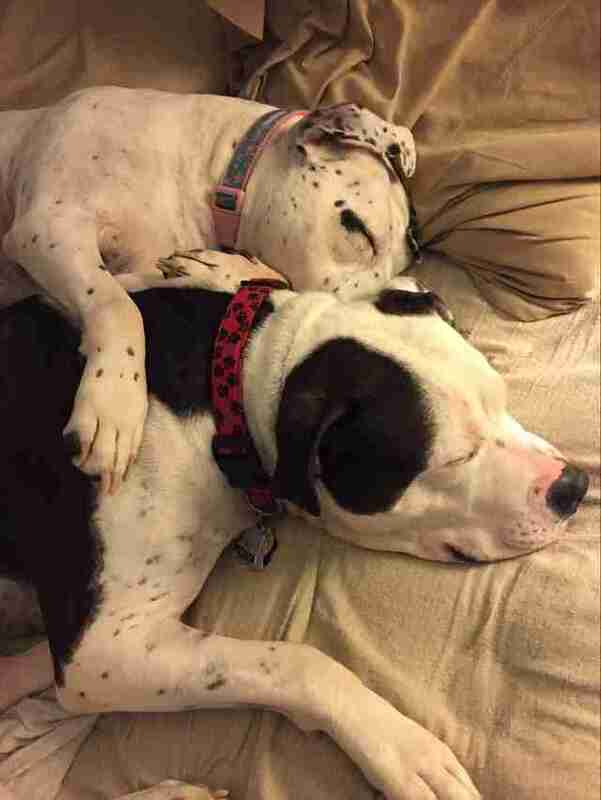 “I sent the photo to my husband, and we talked about it for a few days.” Something stirred in Birster when she began thinking about how these two dogs, who clearly loved each other, might lose one another. The Birsters connected immediately with Bonnie and Clyde. It was as if they all needed each other. 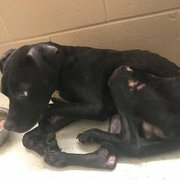 “After spending some time with them, we knew we couldn't leave them behind, and we (tearfully) completed the adoption process, bringing them home that night,” Birster said. 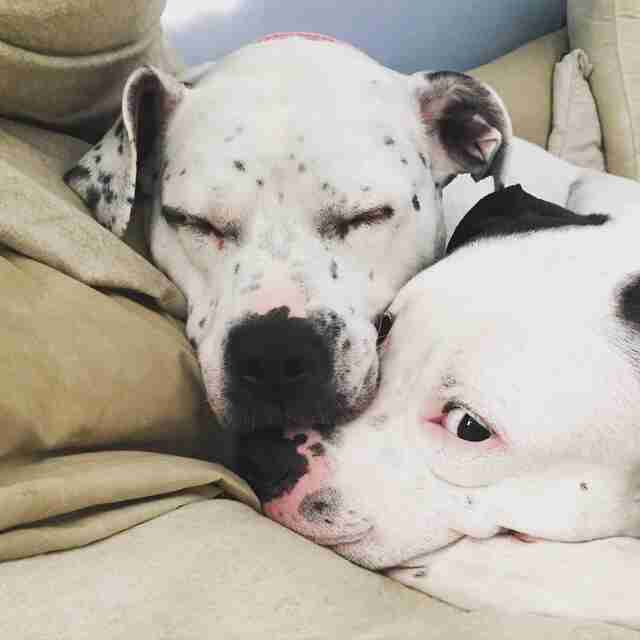 One of the first things they decided was to change their names to Nina and Gus — the pair had been surrendered as Nina and Boss, but had their names changed in the shelter. “Since they were already 4 and 3 years old respectively, we kept their [original] names (or close to it),” Birster explained. Similarly, she explained, life would have been so sad for Nina if she’d lost Gus. “Nina's a bit more independent, but she would have lost her play companion,” Birster said. To keep up with their adventures, you can follow Gus and Nina on Instagram. 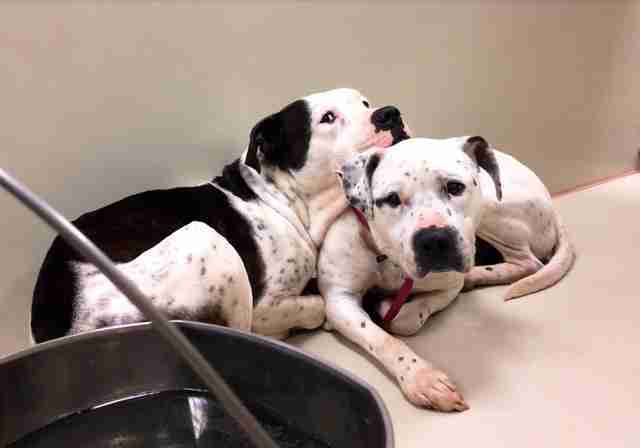 You can also help save more animals like Gus and Nina by making a donation to ACCT Philly.